Spring flew by and I've been lucky to land scout with a couple groups in the area. Among my favorite were the 4th graders at Notre Dame Elementary School in De Pere. The school art teacher Virginia Janssen brought me over two days as a visiting artist. On our first day together we had a great time binding field books and getting outside to take notes and draw. Fortunately for us, that visit was just before some late spring snow showers. 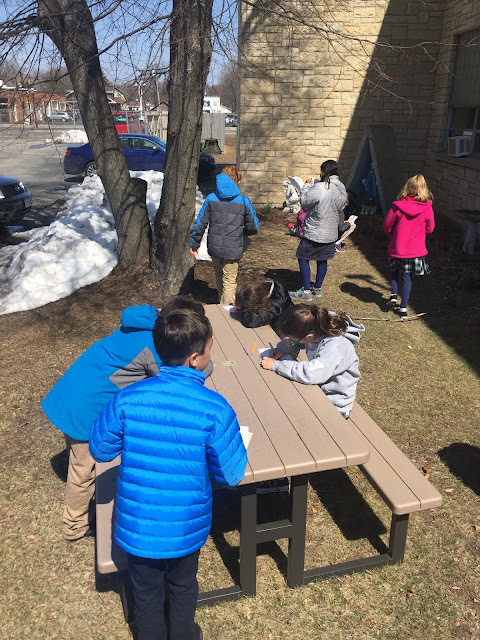 Notre Dame students taking note and drawing about the grounds of their school. On our second day we made seedballs with a mix of Midwestern wildflower seeds. (I get the seeds from American Meadows.) 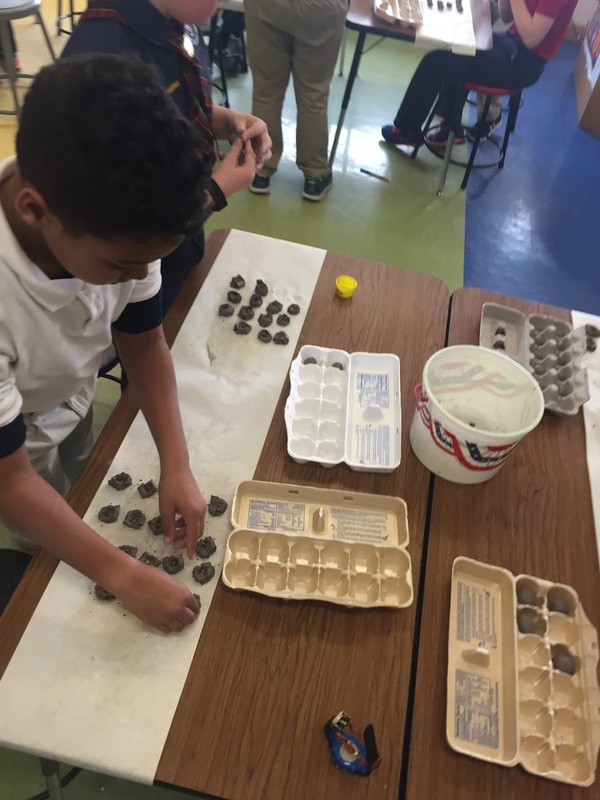 Every student filled an egg carton full of their hand rolled seed balls. We use an assembly line method to make seedballs. Here a student is adding seeds to his partially formed pieces. 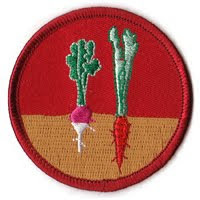 At the end of the second day I was thrilled to award Observation badges to several students who'd filled their field books. It was a blast to talk with the 4th graders about Land Scouts and to share in their excitement to make things and get outside. Thanks to Virginia Janssen for having me out! 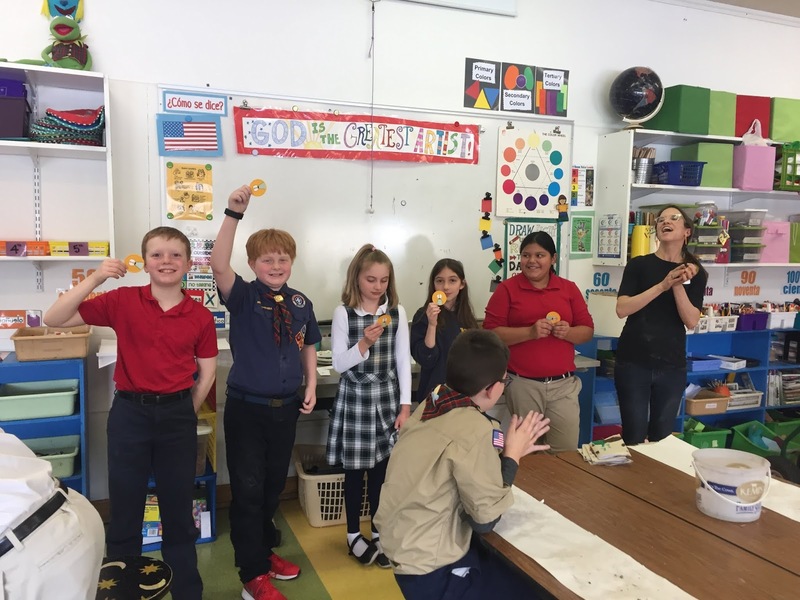 One of the classes with their newly earned Observation badges!